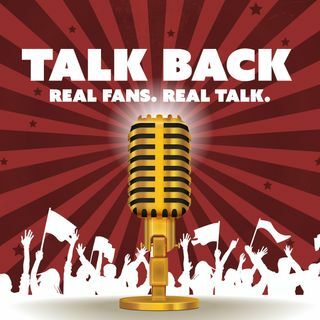 In this week's episode of Talk Back hosts Eric Nesbit & Justin Gay recap week 4 action in the NFL and give perspective on where things stand after the first 25% of the season. They look ahead to the intriguing matchups of week 5, before moving on to Talk Worth current events in segment two, where they discuss the NASCAR playoffs, the ugly scandal coming into the news from NCAA men's basketball, and the changes to the Heisman race. The show concludes with lightning round questions ... See More surrounding the latest hype in the NBA. Follow the show on Twitter at @TalkBackFanTalk or each host individually using @TalkBackEric and @TalkBackJustin. Enjoy the show!